Fluid Crystal Technology makes for a smoother video, sharper picture, richer colours and clearer sound in real-world conditions. Features pan, tilt and zoom controls. 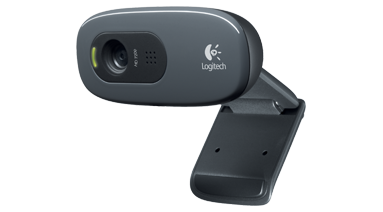 Video and photo capture, face tracking and motion detection. Built-in mic with noise reduction. 1280 x 720 dpi HD resolution.